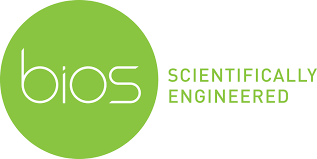 BIOS Lighting, a manufacturer and recognized innovator of LED lighting solutions for biological and agricultural industries, today announced that BIOS co-founder and VP of Lighting Research Neil Yorio, will present at the Cannabis Collaborative Conference on Thursday, Feb. 16. Yorio will discuss LED lighting technology for sustainable cannabis production during his roundtable presentation in Exhibit Hall D from 1:15 to 2 p.m.
Yorio brings a wealth of knowledge on the topic pulling from his 20+ years spent as a NASA plant physiologist and photobiologist at Kennedy Space Center in Florida as well as his present work as VP of Lighting Research in Agriculture where he uses his expertise in plant lighting requirements to design and offer products that are relevant to the industry of controlled environment crop production. The Cannabis Collaborative Conference will be held on Feb. 15 & 16, 2017 at the Portland Expo Center in Portland, Oregon. This two-day convention and networking event is focused on the business side of the fast-growing cannabis industry. For more information, visit www.ccc-con.com.